Raymond James Downey (born September 28,1990) known professionally as SirChubbie and formerly called Chubb, is an American Artist from Cleveland Ohio. His music career began in 2009 when he was discovered by local producer PTheArtist. Over the course of 6 years him and PTheArtist worked countless nights in the studio building up a personal sound that he can call his own. Chubb's debut mixtape Courtesy Of The Trap was released in 2016 under his independent label NuMoneyFam. With features from local artist such as Lil Cray and PTheArtist the long anticipated mixtape accumulated only 1,300 streams and little over 200 downloads. With the meager momentum gather from the Courtesy Of The Trap mixtape Chubb join forces with Cleveland's raising star Lil Cray and released his 2nd mixtape later in 2016 Trappers and Robbers. With the help of Atlanta's Dj MarcB and Cleveland's Dj Ky the mixtape would record over 250,000 streams with over 13,000 downloads. In SirChubbie early life he had drop out of school at the age 17 and pursed a life of the streets, as many of his family member did before him. Being raised in a working class single mother household and a father with a addiction to drugs, he had a balance between working a job or the street life and he choose the streets. With falling in love with fast money and the lifestyle of the streets Chubb fount himself more involved in the street life than he was in his music. While watching close friends and family get incarcerated and having a close family member murdered, he turn to his music and made that his outlet from the streets. 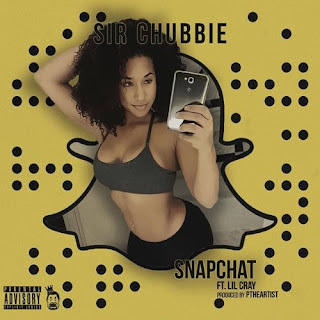 Chubb is currently working on future projects and was feature on Cleveland's Dj Ky hit single Suwoo which seek Top 15 on Z.1079 Local radio station, over 10,000 streams with 2,300 downloads. He also worked with Artist out of Miami such as Red Cafe and New Jersey raising Star Albee Al. You also find his latest projects on Apple Music, Spotify & Tidal.